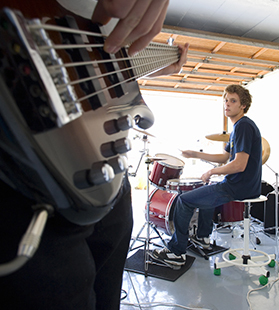 Home soundproof studios are a convenient place to practice and store your equipment. Audimute offers a range of products for home studio soundproofing and drum studio soundproofing. All of our products are made from eco-friendly materials safe for any space. 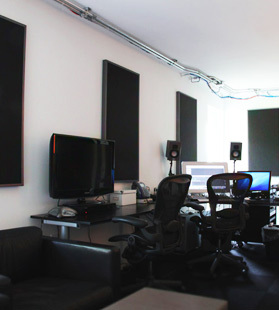 With permanent and portable recording studio soundproofing, musicians and producers alike have found the right solution for their space with Audimute. 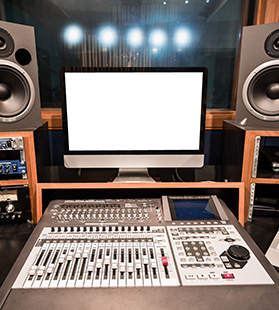 Don't let the location of your studio or recording space undermine the quality of your tracks. We know how to work with you, stay on a budget, and create a professional acoustic solution for any studio, even at home! Fine-tune your studio acoustics in an attractive and inexpensive way. A broadcast or recording studio with bad acoustics is pretty much useless. Solve a variety of acoustic problems with eco-C-tex acoustical panels. 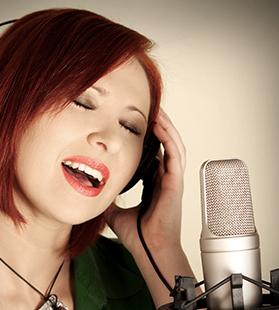 Improve the acoustics in your studio vocal booth with Audimute! Effectively and affordably eliminate echoes and reverberations in your vocal booth. Building a drum room or existing one? 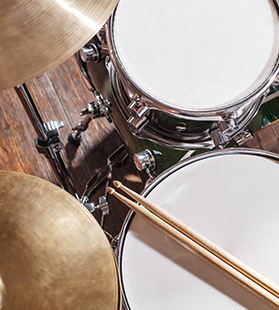 Turn to Audimute for tips, products and expert advice on how to soundproof your drum room.